Douglas Darron Fulk, 55, of Brownstown, died at 8:55 p.m., Friday, January 18, 2019 at his home surrounded by his family. Funeral services will be held 10:00 a.m., Thursday, January 24, 2019 at the First Christian Church, Brownstown with Nathan Bland, Olen Evans, and Tom Fedrigon officiating. Burial will follow at Pilcher Cemetery, rural Brownstown. Visitation will be from 4-8 p.m., Wednesday, January 23rd at the church. Memorials may be made to the Kassy Fulk Memorial Scholarship Fund c/o Brownstown Community High School or to the First Christian Church of Brownstown Building Fund. Gieseking Funeral Home, Brownstown is assisting the family with arrangements. Doug was born on Wednesday, December 25, 1963 in Vandalia to Willard G. and Carolyn L. (Biggs) Fulk. He married Deborah K. Feezel on October 20, 1984 at the St. Elmo First United Methodist Church. 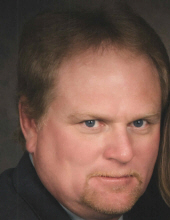 He was the owner and operator of Fulk Construction Company Inc. in Brownstown for 22 years. He attended the First Christian Church, Brownstown. He was on the Otego Township Board and First National Bank of Brownstown Board, president of the Brownstown Volunteer Fire Department and a past member of the Fayette County Hospital Board. He is survived by; his parents of Brownstown; his wife of over 34 years, Deborah of Brownstown; his son, Dustin Fulk and wife Kari, Brownstown; his brother, Greg Fulk and wife Jacy, Brownstown; mother and father-in-law, Bobby and Sue Ann Feezel, St. Elmo; brother-in-law Greg Feezel, St. Elmo; two grandchildren Quinn and Daxton Fulk, and many nieces and nephews. He was preceded in death by his daughter, Kassy Fulk, his brother, Jeff Fulk, his brother-in-law, Randy Feezel, and his nephew, Garrett Feezel. To send flowers or a remembrance gift to the family of Douglas Darron Fulk, please visit our Tribute Store. "Email Address" would like to share the life celebration of Douglas Darron Fulk. Click on the "link" to go to share a favorite memory or leave a condolence message for the family.